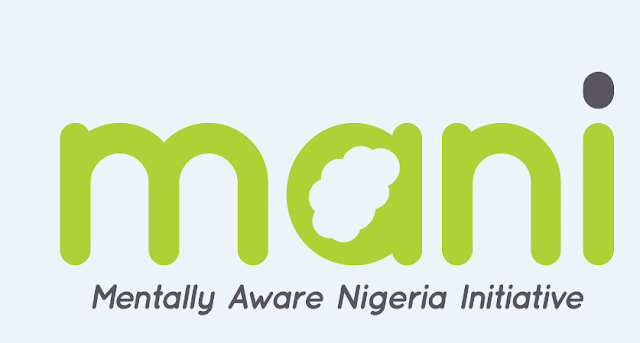 October 10th is "World Mental Health Day" 2018 and we are starting this year's Campaign by putting "The Mentally Aware Nigeria Initiative" (MANI.) in focus. 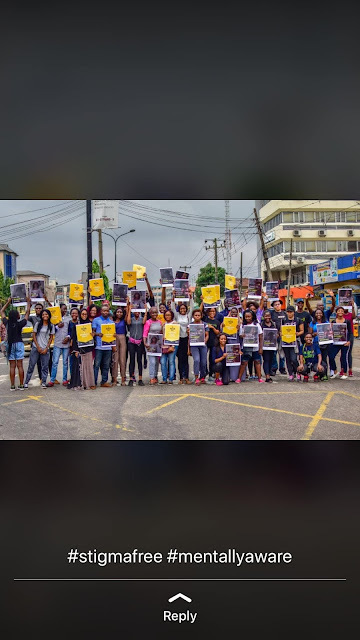 The Nigerian Non Governmental Organisation/ Mental Health Awareness Focus Group is in their own way defying stereotypes in regards to Mental Health Awareness on the African Continent, so there was no better group to ask for progress feedback as regards Mental Health Awareness in the most populous Nation in Africa. This is the Nigerian story by MANI! 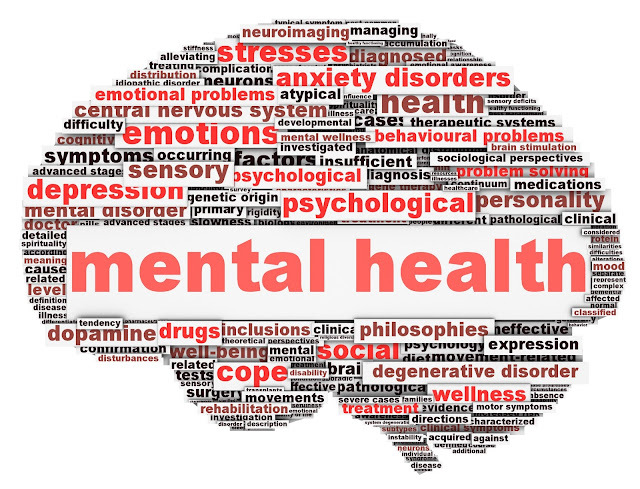 Persons with mental illness usually have to struggle with two major problems, how to cope with their symptoms and improve their health; and how to cope with society’s misconceptions about mental illness which is a major cause of stigmatization. Stigmatization deprives people living with a mental illness their full measure of human dignity, effective & appropriate care, and participation in wider society. In Nigeria, there have been several misconceptions and myths about mental illness, chief of which is that preternatural/supernatural forces (witches, evil spirits and even God) cause mental illness. These beliefs have influenced the attitude of Nigerians towards the mentally ill. Historically, people with mental illnesses were burnt, hanged, mutilated, abandoned and restrained with chains, all in the bid to save their souls, or bring redemption to their families and curb the iniquities causing mental illness within the families. These beliefs shape attitudes and have been shown to have a huge impact on the acceptance of the mentally ill amongst Nigerians. These labels and myths about the behavior of the mentally ill have aggravated stereotypes and provoked further prejudices on people with mental illness due to poor knowledge. Social causes such as alcohol use, substance use, stress, etc. All these objectionable views and beliefs on causes of mental illness by Nigerians, further complicates the preference for type of care. A supernatural view of the cause of mental illness will imply that unorthodox (traditional) means of treatment supersedes the orthodox means. The impact of the stigmatizing attitude and poor knowledge of mental illness among Nigerians have shown to be a major hurdle to improving mental health in Nigeria. Conversely, evidence from social media outreaches and trainings embarked on by MANI has shown that changing the perception of Nigerians to mental illness through proper education results in improved health seeking behavior for mental health challenged and reduced stigma within the country. Mentally Aware Nigeria Initiative (MANI), has taken up the role of creating mental health awareness through anti-stigma campaigns and mental health advocacy. MANI's campaigns revolve around challenging inbred notions about mental health issues, through stories (live, recorded and written) especially from those with lived experience and our efforts are being recognised all around the world. MANI also works to increase awareness of mental health issues by providing simplified and easy to read resources both offline and via social media on Stigma-Zer0 (our YouTube channel) and The MANI Blog on our website (see below). 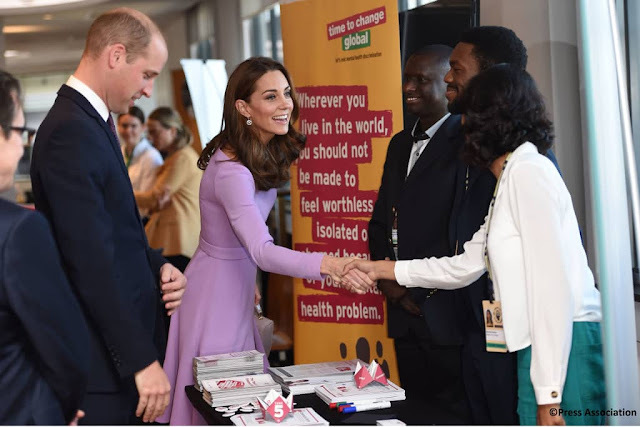 MANI encourages early help seeking and also serves to connect young people to appropriate mental health services/professionals. MANI has a team of in-house counsellors and psychologists who provide free counselling sessions and also help run the Suicide hotline. MANI also embarks on physical outreaches to Mental institutions and prisons across the country; training sessions for students of secondary and tertiary institutions & their teachers and parents. They also offer Employee Assistance programs to corporate organizations. MANI in line with the World Health Organization’s focus for this year’s World Mental Health Day theme “Young People and Mental Health - in a changing world” is focused on educating young people about mental health, reduction of stigma, and creating a comfortable environment for open conversations about mental health issues throughout the month of October, 2018 in Africa’s first and largest Mental Health Virtual Conference. 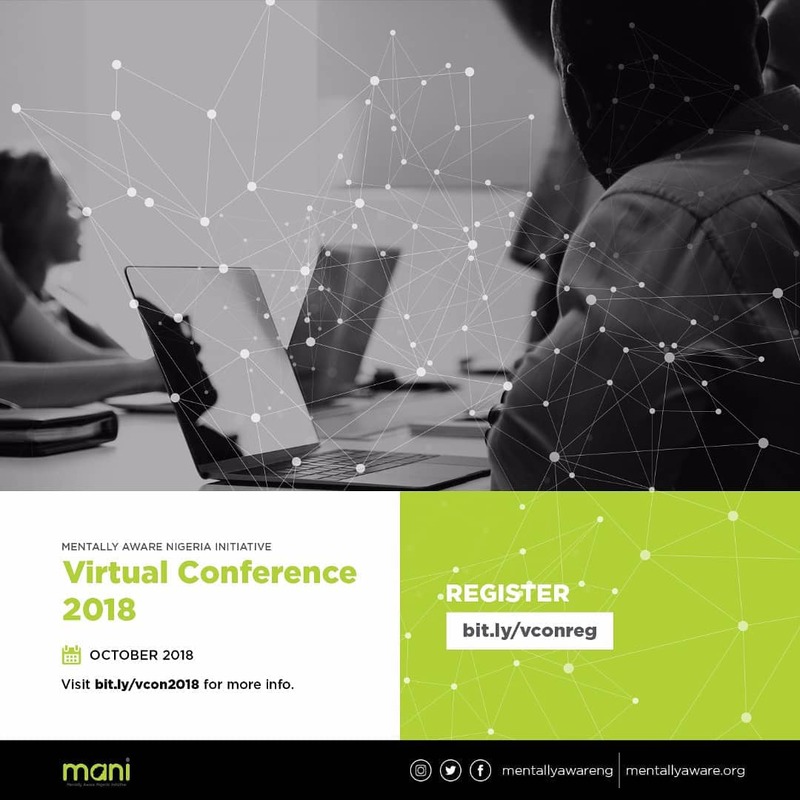 The Virtual Conference spans across the most active social media (WhatsApp, Twitter and Instagram) platforms and boasts of speakers from all walks of life talking about the realities of mental health and its effects in their professional spaces and its effects on Nigeria as a whole. There would also be physical outreaches, a walk to mark the event and seminars in collaboration with the Department of Psychiatry (CMUL, LUTH), Association of Resident Doctors (FNPH, Yaba) and a couple of Secondary Schools in Lagos. 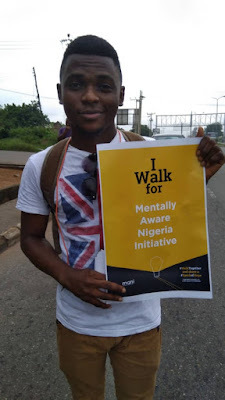 We at MANI are working towards having a stigma-free Nigeria where mental health is important as our physical health and anyone with a mental health challenge can seek help freely and promptly without fear of stigmatization.